I've tried keeping proper journals with little success. I've developed a habit, though, of using the right hand page of my day-on-two-pages day planner to summarize my day: notable weather, accomplishments, phone conversations, correspondence received and sent, meals cooked, complaints, thoughts. It feels natural and I can write as much or as little as I want. Some days I fill the page and others I just write a few quick lines. This process, usually done at the end of the day before bed, helps me close the day. I like it. I started journaling sometime last year. I do it almost daily--and I couldn't give it up now. It is so cathartic and soothing. And your journal becomes a trusty friend (much like your planner does) Look forward to the rest of the series! You're so right about 'closing the day', Josh. The days I don't write down all the stuff that's in my head are generally followed by poorer quality sleep. 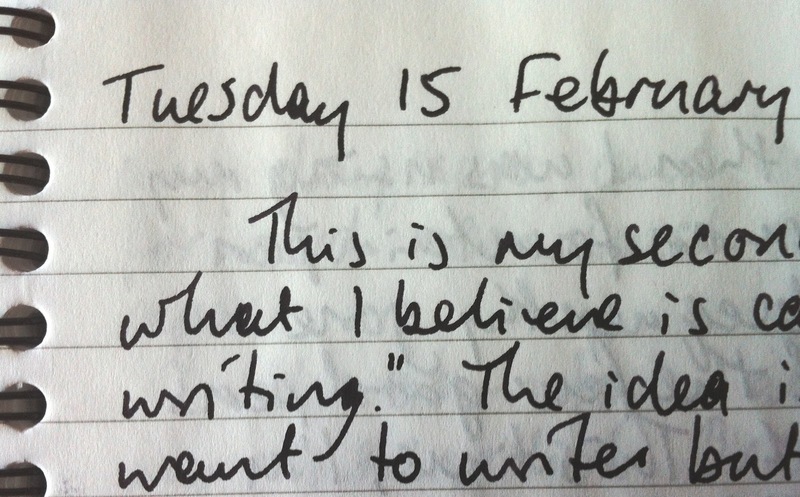 It's as though when I write it down I give myself permission to stop thinking or worrying about it. Ooh, 'cathartic' is just the word. Thanks, Rori. I'll look forward to this, I've been journaling for quite a few months now and it's become a habit but it took quite a few failed attempts to get to this point!! Alison, since you are at this point, perhaps they were necessary steps to getting here rather than failed attempts? I's be interested to learn how you finally established the habit. Oh wow, really looking forward to this! I've just started journaling but I could really do with some pointers. This is something I've been thinking about starting, so I'm looking forward to your posts. Ooh, very exciting! I do a very basic sum-up of the day every day, and recently a gratitude list as well, but I don't do proper journaling as often as I probably should. Really looking forward to this series! I've been journalling for years, filling folders and books and computer files, but I'm always interested in what other people are doing. Looking forward to seeing what's coming up. I suppose I finally established the habit because right now I need to Journal, i've a lot of health issues and I use it as therapy, i'm still not in the habit of journaling every day but I hope to get there eventually, I suppose sometimes when I need to journal the most i'm kind of too low to do it and when I finally get round to it i've lost some of the feelings that I had and find it hard to put into words if you know what I mean !! Yes, I know exactly what you mean. Sometimes, when I don't have the words, I find it helps to write about something else for a few minutes while my subconscious works out what I want to say. Just think to yourself, "I'll spend 5 minutes writing about elephants/apples/jazz and then I'll tackle how I feel about..." It works. And as far that low place where you can't even face opening the journal... Well, first, you can give yourself permission not to write (on top of everything else, you don't need what I call journal guilt.) Or, you can carry around an index card or maybe a small notebook or a page in your Filofax on which you just note single words or phrases as a reminder of something you want to write about when you feel up to it. I do better when I keep an simple record of the day's events and any positive things. Where I've fallen down and stopped journalling in the past, it was generally because I'd gotten bogged down in emotion, and it just didn't work for me. I have a few partially filled journals from those tries. Kudos to those who can establish the habit! Thanks for a timely post as I've been meaning to get back into journalling. I find it an great tool for a little self-reflection & reminder to be grateful. The thought of destroying a journal disturbs me, but I'm aware people do it. It's the ultimate closure I suppose when you leave a period behind and move on to better things.